Does Mourinho's Manchester United lack an identity? Manchester United's manager is in the eye of a media storm. 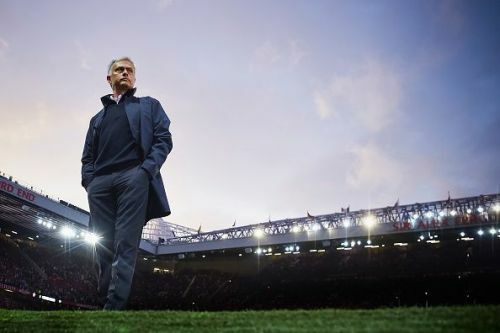 Jose Mourinho came to Manchester United in 2016 amidst a lot of hope shown by the media and fans. He was given the role of being the Messiah in the post-Fergie era for United. In the time that has elapsed since things have proven to be not so rosy. 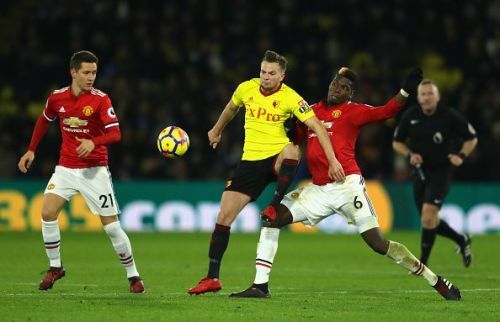 A string of dire performances, lack of intent against the Big 6 and extra emphasis on defence have led to discord in fans and media criticism. United's base formation and movement patterns. On paper, United usually line up in a 4-3-3, but it is usually a mix of 3-4-3 and 4-1-4-1 in offence and defence respectively. Matic often dropping in deep, between the centre-backs to form a 3 man defence as the full backs go forward. A lot of the focus is on trying to form triangles and diamonds when in possession, trying to offer options to the man on the ball and making transitions easier. Pogba and Herrera (now Fred) are the initiators of the midfield press. The back 4 adopt a mid-block, which is holding a defensive line somewhere between the centre circle and their own 18-yard box. A man oriented pressing is focussed on in the midfield and Pogba and Fred (earlier Herrera) take turns to press their opposite number to try and make the opposition play the ball out wide. Once the ball is down the sides, the press is more and intense as they try and use the lack of space and a numeric superiority to win the ball. Even if the press is broken, crosses from out wide is usually less of a threat than being opened up down the middle. United's frontmen have to improve to make their managers' plans work. Most of United’s most effective attacks over the past couple of seasons have come when they are in transition and execute an effective counter-attack. Romelu Lukaku, the big Belgian usually drifts into the right channel between the left-sided centre-back and the left back to pin both the defenders down and free up the right winger or create more space for the left winger to operate in as soon as the ball is switched. The first ball is usually out wide in transition as they have pacey wingers. The much-maligned long ball is seen often as well, especially when United are chasing a game or the opposition press very high. 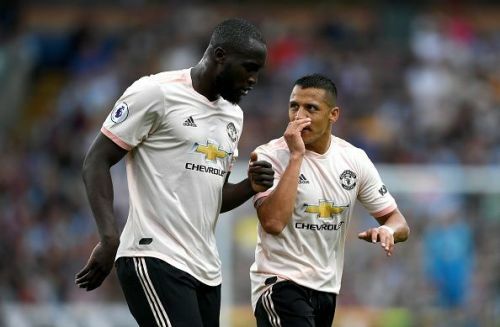 The long ball out to someone who can hold up the play is a common theme in Mourinho’s game with Drogba, Benzema and Milito all doing what Lukaku does today, albeit the Belgian can improve on many attributes. A simple look at any of the top 6 and you can see similar tactics in many of them. 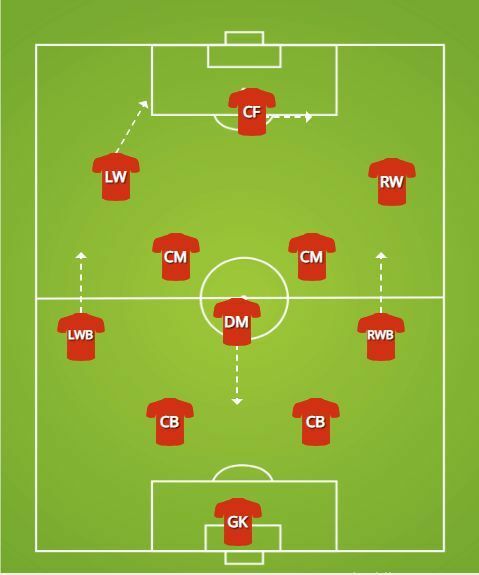 Guardiola loves to drop Fernandinho into a back 3 to allow full backs to go, Klopp is perhaps the most effective manager when it comes to implementing a man oriented press and Sarri’s Chelsea and Napoli sides would be impotent had he not been adamant about working triangles and diamonds. 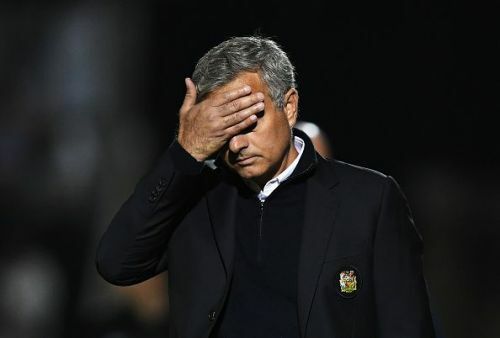 This is where I feel that Mourinho is frustrated with the media’s portrayal of United’s tactics as archaic and outdated in nature when the exact same tactic in another team is being complimented as some sort of revolution in Football. Having read up to now you might agree that having an identity or a set pattern is not the problem. The problem very simply lies in the execution of said tactics. This is where the team and manager are lacking, the causes of it could be ranging from player ineptitude to lack of man management to the playing style not being bought into by the players. Ultimately, criticism is warranted. On a very different issue altogether though, as the style of being reactive and wanting to be in control of the opposition's options is one which can only be sold if a certain level of results is being achieved. Do United lack identity in playing style? No. Do they lack the attitude and qualities needed to carry out the instructions? Perhaps. Is there a problem? YES!